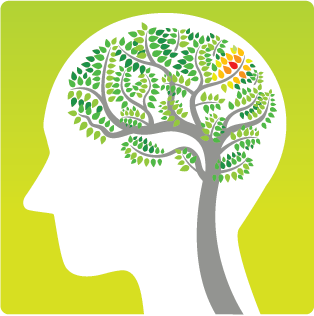 The International Stroke Genetics Consortium (ISGC) was organized in April 2007, at the Annual Meeting of the American Academy of Neurology in Boston. A group of 16 investigators from Europe and North America traveled to the Broad Institute in Cambridge, MA for a daylong organizational meeting. The first ISGC International Workshop was then held in London, July 2007. Since then the ISGC has held its international workshop every six months. The ISGC Steering Committee holds conference calls every two months and consists of the Chair, Vice- Chair, Past-Chair and seven additional committee members. The Chair and Vice Chair hold terms for two years and are internally selected from among steering committee members. Committee members are elected by an ISGC-wide vote. During the meeting, ISGC project proposals are reviewed and updated, future goals and developments are discussed and general action items are addressed. The ISGC Scientific Committee holds conference calls every two months, on an alternating schedule to the Steering Committee, and consists of two Co-Chairs and six committee members. During the meetings, the bi-annual ISGC workshop is planned. Specifically, the dates, meeting location and agenda are planned as well as the themes and focus of each workshop. The ISGC Analysis Working Group holds conference calls once a month and consists of two Co-Chairs and five additional call members. This group was formed to facilitate regular contact amongst the analytical members of the ISGC in-between workshops and is an opportunity to exchange ideas, discuss updates as well as coordinate ISGC-wide analysis initiatives. Among the goals of this committee are to increase efficiency of analyses and create an expert community to aid in solving problems faced by less experienced ISGC members. The ISGC Imaging Working Group holds conference calls once a month and consists of a Chair and Vice- Chair and nine additional call members. Formed in the fall of 2012, this group is undertaking a harmonization of image characterization/measurement approaches across ISGC centers and is contributing images to the ISGC-NINDS stroke imaging repository housed at MGH under Dr. Rosand’s leadership. The ISGC Outcomes Working Group holds conference calls once a month and consists of two Co-Chairs and seven additional members. Formed in the fall of 2012, this group is responsible for harmonizing stroke outcome measures across member sites. The ISGC Outreach Working Group holds conference calls once a month and consists of a Chair and Vice-Chair and two additional members. This working group is devoted to expanding ISGC participation to underrepresented regions and populations. The Translation Research Working Group holds conference calls once a month and consists of a Chair and Vice-Chair and 23 additional members. This group was formed in 2013 with the goal of uniting researchers whose goal is to use genetic and genomic tools to improve understanding of the pathophysiologic basis of cerebrovascular disease. Twice a year, the ISGC holds a two-day workshop at the home institution of an ISGC member. Tradition holds that the workshop location rotates among continents. The most recent hosts have been Ynte Ruigrok in Utrecht, Netherlands and Myriam Fornage in Houston, Texas, USA. Each conference program provides updates of ongoing ISGC scientific activities, symposia on future projects, scientific sessions, training sessions, and brainstorming sessions. Additionally, 2-3 plenary sessions are organized around invited, external speakers to provide expert opinions on topics related to the ISGC goals. On average 70 members of the ISGC attend each workshop. The METASTROKE collaboration holds conference calls once a month and consists of a Chair and Vice-Chair along with 20 cohort representatives. This group was formed in 2010 to bring together individual studies with large-scale genome-wide association study data to perform meta-analyses to identify new genetic loci for ischemic stroke. The METASTROKE database currently contains summary statistics for 15,671 cases of ischemic stroke, 9,728 of which do not overlap with NINDS-SiGN, and an excess of controls. The NINDS-Stroke Genetics Network (SiGN) holds conference calls once a month and is governed by a steering committee comprised of all contributing investigators. Formed in 2010, the SiGN consortium is now a well-established stroke genetics network and dataset including over 17,000 ischemic stroke cases recruited from 25 centers in the US and Europe. Stroke subtyping has been completed on all cases using the web-based Causative Classification of Stroke system, and the cohort contains ~12,000 newly genotyped samples with exome chip data as well as GWAS data. By generating and analyzing genome-wide genotypes and collecting and analyzing extensive imaging and phenotype data in thousands of individuals with stroke, the ISGC has made substantial progress in identifying the genetic variants that influence risk of stroke, the initial step in the discovery cycle. Nonetheless, substantial barriers remain to leveraging these and future data for the advancement of our understanding of cerebrovascular disease and the ultimate development of novel therapeutic targets for stroke. Datasets are (1) of unprecedented scale, (2) disparate in location, and (3) heterogeneous in type. As a result, the research community lacks the data access and integration necessary in order to perform valid and well-powered comparisons to generate new hypotheses and improve our understanding of cerebrovascular disease biology. Dr. Rosand has been awarded 1R24NS092983 - 01 to overcome these barriers and inefficiencies in the search for novel therapeutic targets for stroke. In 2017, in partnership with the American Heart Association’s Precision Medicine Initiative, the ISGC launched the Cerebrovascular Disease Knowledge Portal, a gateway for data sharing, investigation and analysis. This Platform will create a central resource for the investigative community that provides access to summary and individual-level data from disparate datasets contributed by collaborators across the ISGC. Data Access Committee of the Portal: Consisting of PIs who have shared their data through the ISGC, the scientific committee oversees the Cerebrovascular Disease Knowledge Portal. If you would like to become a member of the ISGC then please CLICK HERE and fill out your information for a username and password for the site. If you are a current member of the ISGC and do not have a username or password please CLICK HERE and fill out your information for a username and password for the site. If you have any questions please email Bailey Montgomery. 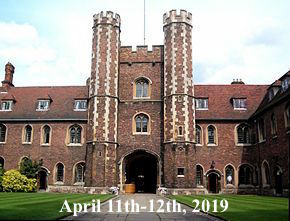 Registration for our next meeting on April 11-12th 2019 at The Queen's College, Cambridge is now CLOSED. For the brochure with more information on this meeting please click here. Information about registration can be found on the ISGC Workshop tab after logging into the website. Please note: you must register with the ISGC website prior to registering for the workshop. This can be done by clicking "Login" and selecting "Create New Account"
Would you like to donate to the ISGC Foundation to support future meetings, travel awards and ISGC administration?